Your rental hours include Set-up and Clean-up time. You, your bridal party, and any vendors, including catering, can arrive at The Winsome Grace no earlier than the start of your rental hours. Please allow at least 1.5 to 2 hours of preparation time before your ceremony. Furniture set-up and decorations can be put in place on another pre-scheduled day prior to your event and will not count against your event hours. 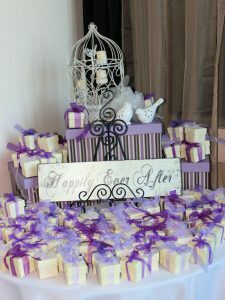 You will be given 2 hours to add your personal touch to the wedding venue at no additional charge. Please note, no nails or heavy duty tape will be allowed and only non-drip candles can be used. They must be in a container that is higher than the flame. Candle placement requires proprietor approval. Real, or silk, flower petals are allowed down the aisle, but need to be picked up after the event. We DO NOT ALLOW confetti, jewels, sparkles, rice, glitter, or anything that can be “sprinkled” onto your dining tables. Couple’s Choice Winner 2 Years in a Row!